Horses are described in numerous ways; breeds, types, 'bloods' and purposes. When looking at shows or sales descriptions its very easy to be confused by the different descriptions used. We have complied a short list of some of the more popular horse breeds with a picture, so that you can more easily identify the breed types we are referencing. Please take a look at the horse breed information we have complied in the below articles. Each article contains a description and picture of the equine breed listed. American Paint Horse - Has an easy going temperament & used for cattle work. 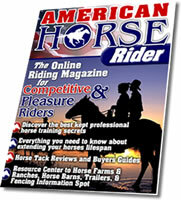 American Quarter Horse - Versatile, popular equine breed that's great for new riders. American Saddlebred Horse - Result of selective breeding of four breeds of horses. American Standardbred Horse - Most of this breed complete a mile race in 3 minutes. Appaloosa Horse - This horse's spotted coat and fur is its most recognize characteristic. Arabian Horse - Arabians are know for being affectionate and a dished head profile. Clydesdale Horses - Known for their large frames and study working abilities. Ponies - Distinctive pony breed (breeding two ponies) & is less than 14.2 hand high. Hanoverian Horse - This breed of horse excels in jumping, dressage, and eventing. Missouri Fox Trotter - Breed named after its unusual gait and smooth movement. Morgan Horse - Historically the official horse breed of the United States. Palomino Horse - Breed admired for their beauty, versatility, & endurance. Peruvian Paso / Paso Fino - Breed known for an easy ride on rocky terrain. Tennessee Walking Horse - Distinct breed with no trot - only a "running walk." Thoroughbred Horse - Horse of choice for racing and speed related equestrian sports. Miniature Horses - Miniature Horse Breed Makes a Great Household Pet. Pinto Horses - Their coloring provided a degree of natural camouflage. 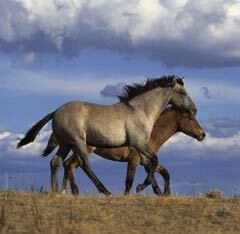 Mustang Horses - Mustangs can range in size of between 13 and 16 hands. Coldbloods - Larger, gentle horses for working or hauling. Hotbloods - Swift, fast horses used for racing and speed. Warmbloods - Great breed for equestrian sports and competitions.